The greedy wife of the fisherman is feasting in her new home, while her good-hearted husband is being threatened by one of the guards. 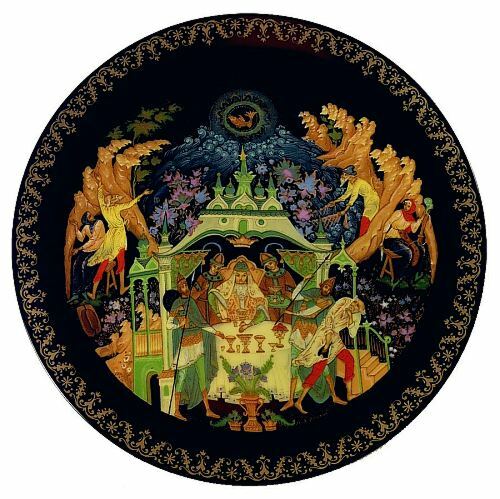 This collectible plate, depicting the Tale of the Fisherman and the Fish, is based on a lacquer miniature by Palekh artist Nikolai Lopatin. The plate is in excellent condition and comes with the original documents and box.